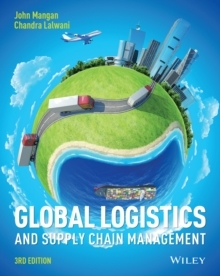 Global Logistics and Supply Chain Management , now in its second edition, is essential reading for students studying SCM and logistics. Encompassing both practical and strategic perspectives, it also takes a truly global perspective, recognising the transnational nature of logistics activities in today s world. The four authors bring a wealth of experience and knowledge from their careers which to date have spanned Europe, the US, Asia and Australia. In addition the book benefits from chapter and case contributions from 27 authors (both from industry and from academia) located across the globe. 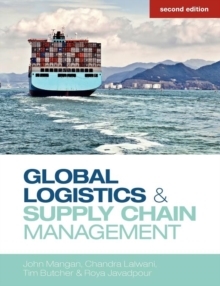 Key features of this new and extended second edition include: 19 up-to-date chapters on all aspects of logistics and SCM, including coverage of emerging and important topics such as service supply chains, security, sustainability, and supply chain vulnerability. An easy and clear introduction to key quantitative techniques that can be applied to logistics such as simulation and modelling. Thirteen international case studies, on diverse topics such as commodity logistics and extraterrestrial supply chain networks, to illustrate key concepts and extend learning.